From Llandudno we made our way to The Victoria Hotel in Menai Bridge were we had lunch. After which we drove back over the bridge to a car park belonging to The Antelope Inn. 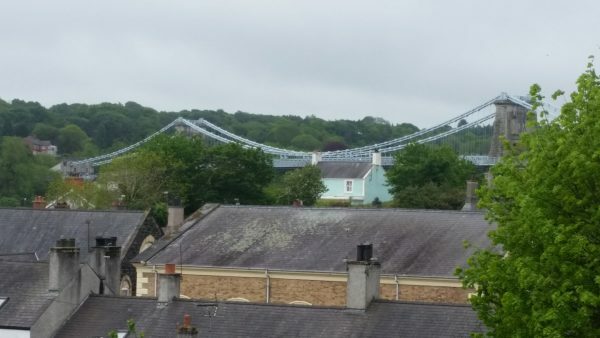 We started our walk round Anglesey by walking over the Menai Bridge. 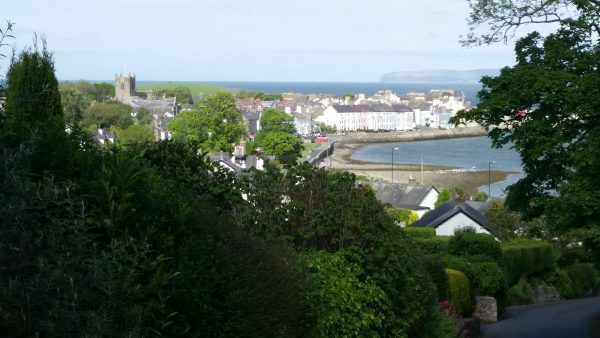 From the town of Menai Bridge we had a steep up section that took us to high ground where we had views across the Straits to Snowdonia. The path then dropped down to Beaumaris where we caught a bus back to the hotel.